Run Gulp/Grunt tasks, bundle assets, compile CSS, etc. 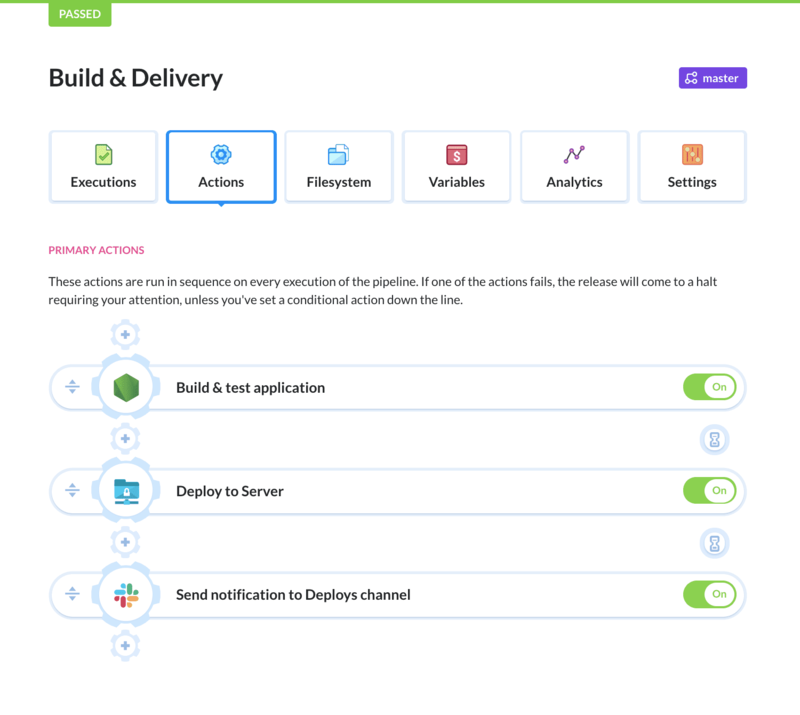 Buddy lets you travel back to simple times and streamline the whole process to a single click (or push to repository) by introducing Continuous Delivery to your workflow. Now, make a push to the selected branch and watch Buddy automatically build and deploy your website. Buddy uses isolated Docker containers to perform your builds. The output of the operation (eg. bundled files) is then stored in the Filesystem, from which it is deployed to the desired place. You can switch to YAML if you prefer configuration as code over GUI. 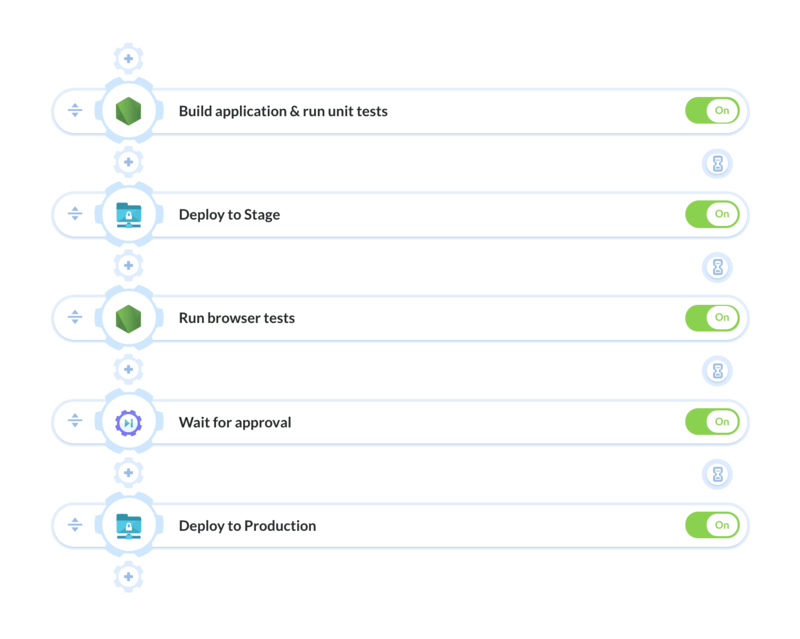 Continuous Deployment is a software engineering approach in which every change to code is rigurously tested before getting deployed to the Production server. The whole process is fully automated - from push to repository, to deployment to server. Which process to choose depends on the company needs: in some cases, a feature must wait until it can be released live. However, if your company is not constrained by such regulations, Continuous Deployment should be the process to pursue. 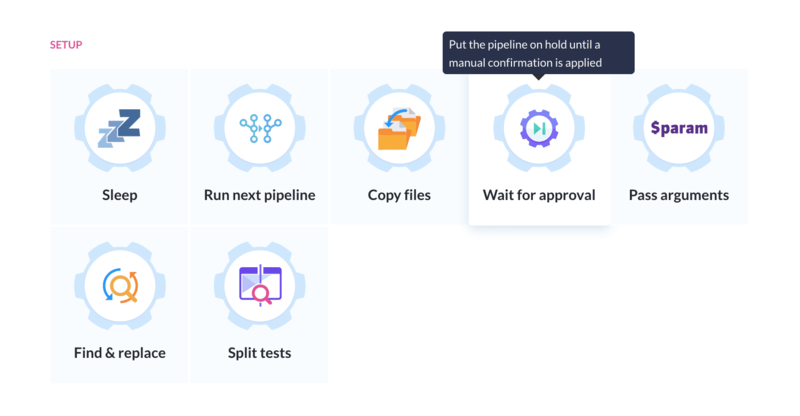 This way every time the pipeline is executed, all changes will be automatically tested, but no deployment will be made until the time is right. In short, Buddy lets you automate basically every type of developer task in a couple of minutes, so you can focus on delivering awesome websites with little to no deployment hassle. See you on board!